Pakistan is at a crossroads. The decision it takes in the hours and days ahead is going to determine its future. It can either change course and accept that her policy of proxy war through jihadis will no longer work with respect to India or else it can choose to continue on that slippery slope and raise the ante through a military strike against India. Whatever it decides, it must know that the 26 February Indian airstrikes on Pakistan Army run terrorist camps constitute a paradigm shift in India’s strategic doctrine. The air attacks deep into Pakistani territory have made it clear that the arena has been enlarged and instead of the low-cost jihadi option, henceforth confrontation with India must involve the regular military with all its attendant risks. For decades, India’s posture vis-à-vis Pakistani belligerence, even aggression, has been defensive. Even the 1999 Kargil War was entirely defensive with the Indian leadership steadfastly refusing its military the option of expanding the conflict beyond the Line of Control which is the de facto border in most of Jammu & Kashmir state. The Line of Control has for various reasons been considered sacrosanct by most Indian governments. This has hamstrung military options and produced a doctrine which is essentially defensive. Even the surgical strikes of 2016 by the Indian Army at terrorist targets across the Line of Control was both defensive and tactical. In the end it did not prove to be a sufficient deterrent. The Minister of State for Home admitted in Parliament that ceasefire incidents have killed more Border Security Force personnel in 2018 than in earlier years. BSF casualties shot up three times to 14 in 2018 compared to just 4 in the previous year. Militancy within the Kashmir Valley also intensified during 2018 with as many as an estimated 181 local youth joining terrorist ranks in that year. The graph of local youth joining militancy has only been rising – it was 66 in 2015, 88 in 2016 and 126 in 2017. In other words, far from being cowed down by the surgical strikes, Pakistan was only further emboldened. The re-activation of the Jaish-e-Mohammad and its murderous chief, Maulana Masoor Azhar, was a clear indication. The use of military grade RDX explosives in the Pulwama blast suggested an increased degree of confidence of the Pakistan Army. It was becoming increasingly clear that in order to stop Pakistan from pursuing its strategic goal of keeping the Indian Army “suppressed” in Kashmir, as General Pervez Musharraf once put it, India would have to exercise a strategic and not tactical response. A surgical strike or two does not comprise a strategic response, neither does the decision to rescind the Most Favoured Nation status on Pakistani trade with India. These are at best symbolic gestures which Islamabad would have no trouble shrugging off. Another response would have been to beef up the internal security grid in the Kashmir Valley. However, this would constitute a defensive measure and not address the source of the problem. US and NATO military action against the Taliban insurgents for over 17 years has ended in failure precisely because of this. New Delhi also had to consider the international implications of a strategic response to Pakistan. Any move that could invite international opprobrium would be a huge setback. The US reliance on Pakistan for a successful deal with the Taliban, the Saudi crown prince’s Islamabad visit and so on seem to have lulled the Pakistan Army into believing in its self-importance, while the truth is most countries today see Pakistan as a vicious promoter of terrorism and regional instability. The global response to the Indian airstrikes proved just how wrong Islamabad’s assessment of its own importance was. Even its all-weather friend China did not condemn India but like all other powers called for restraint. A few countries including France and Australia even demanded that Pakistan rein in its terrorist outfits. New Delhi was wise to stress the airstrikes were “an intelligence-based counter terror strike and not a military action for sake of war.” The Dean of Diplomatic Corps, Hans Castellanos, said he was satisfied to learn the strikes did not affect any civilian or any Pak military installation. It is decision time for Islamabad. 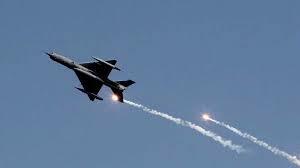 Pakistan’s Prime Minister Imran Khan has responded by declaring the airstrikes constitute Indian military aggression “to which Pakistan shall respond at the time and place of its choosing.” Pakistani fighters have bombed the Indian side of the Line of Control. So be it. No strategic shift comes free of risks or costs. This is true of India and Pakistan as well. The Subcontinent’s future will depend on who is best able to absorb the inevitability of rising risks and costs in the long term.